Hundreds of Michigan educators & students have connected this year through the hashtag, Twitter chat, website, podcast and meet-ups. Connected around what? Learning. Making a difference. Finding a passion. Asking big questions. And so much more..
As we wind down another busy school year, take a few moments to celebrate and share the work that is happening in your classroom and school. It’s the PEOPLE that make #MichED an amazing community, so share your story!! You’ve got 3 easy ways to join in..
1. 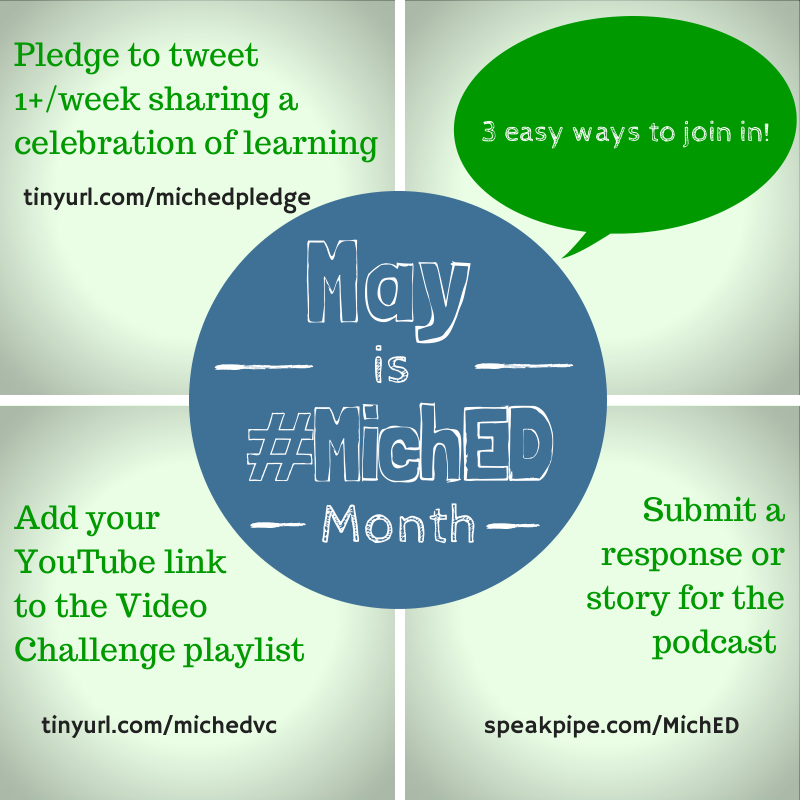 Take the pledge to tweet 1+/week sharing a celebration of learning! 2. Add your YouTube link to the Video Challenge Playlist! 3. Submit a response or story for the podcast! What’s a memorable moment from this school year? What’s great about education in Michigan? Thank you for being a part of the community.. your voice matters!